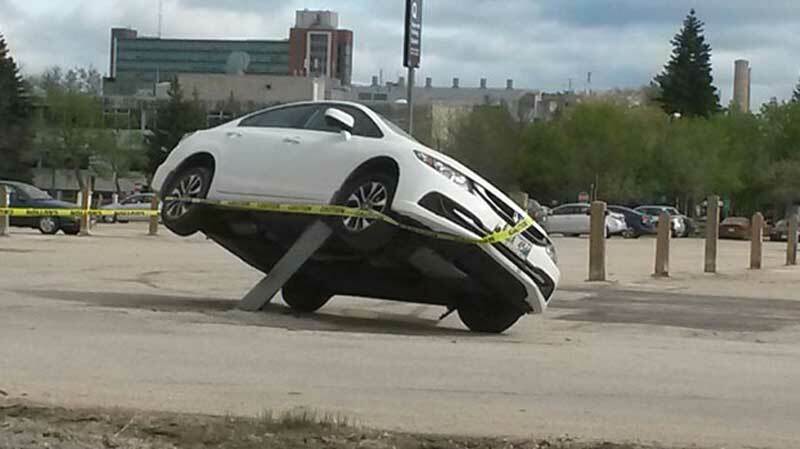 A woman from Winnipeg, Canada, said she couldn’t believe her eyes as she exited the University of Manitoba at around 5pm on Friday. 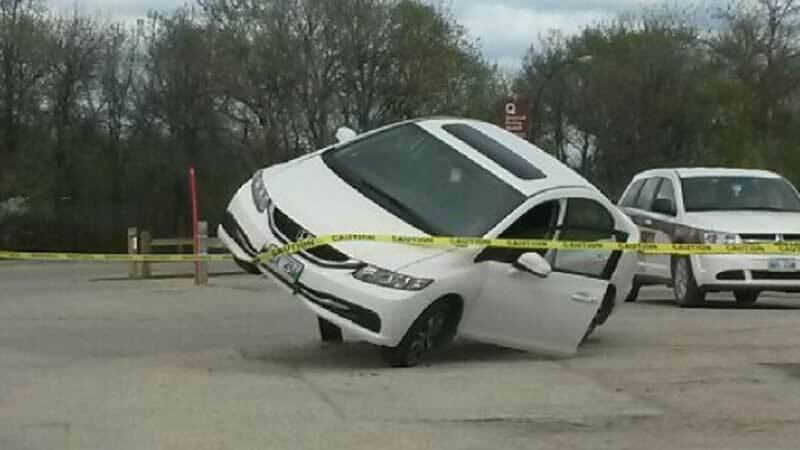 Veronica Larmour said there was a car, parked on top of a pole, right in the middle of the school’s parking lot. “There doesn’t seem to be any damage to the car - I don’t know how they managed to get up there,” she said. Larmour, a research technician in the department of microbiology, said she couldn’t help but laugh at how ridiculous the car looked. Winnipeg police said they were not aware of the incident.